Since we ended up having to cancel our WDW trip that was supposed to start yesterday, Mik and I decided it's about time we go to the Sackler Gallery. Well, that didn't happen as seems to always happen when we plan to go. 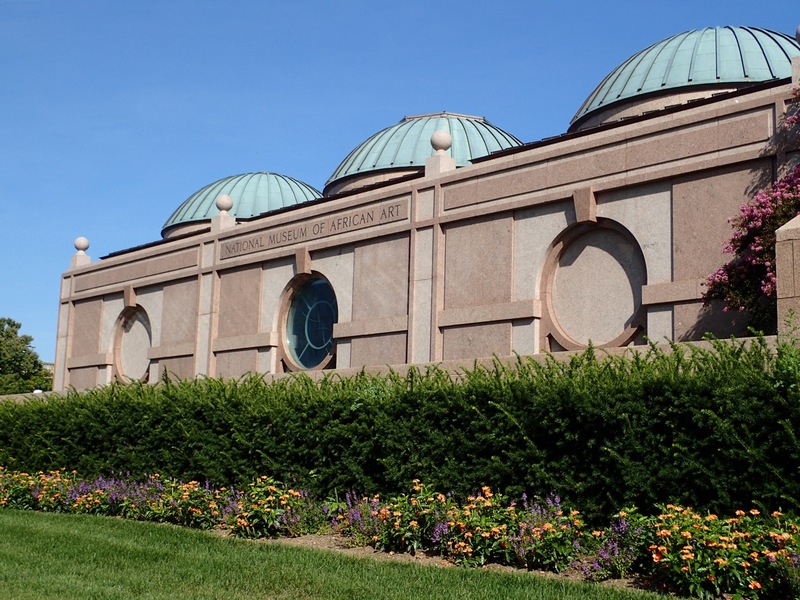 This time it's because it's closed until the new temporary exhibits open next month. Thus, we decided to visit the National Museum of African Art, which is another Smithsonian that we have never visited (even I hadn't!). The National Museum of African Art building is located in the Enid A. Haupt garden behind the Smithsonian Castle. The entrance has a button to activate the automatic door (and also serves as the accessible exit). It is a set of two doors and the button for the first door worked going in and out, but we couldn't get the next door to open either way. Both doors work, but there's only one button in the area between them. I'm not sure if there is a trick of like being patient enough for the first to close and then hit it to open the second or what, but it sure was quicker to just open the door manually. 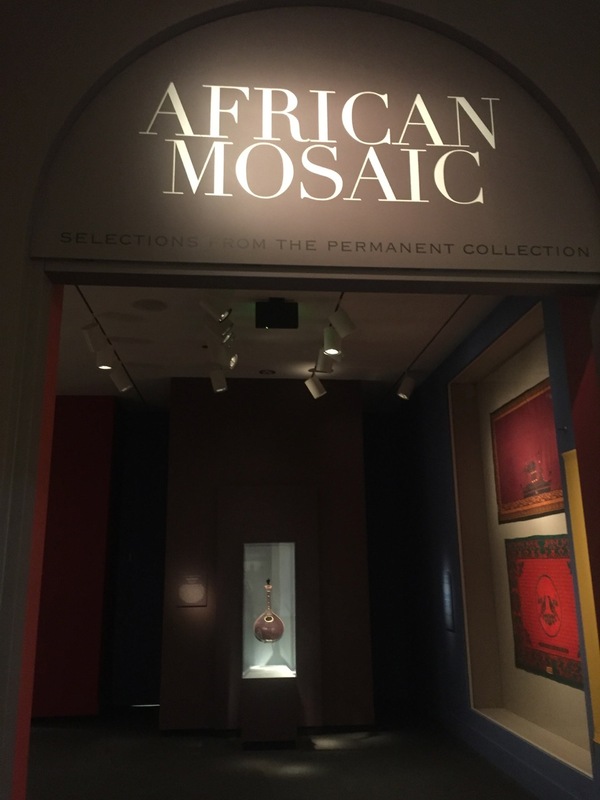 We spent most of our visit in the main permanent exhibit called "African Mosaics." It seemed to contain mostly masks, but there was still a decent amount of variety to the art on display, especially considering it's not that big. Visiting the African Art Museum for the first turned out to perhaps not be the best choice currently as at least half of its temporary exhibit space was currently in transition and even the supposedly indefinite Disney-Tishman Collection was closed. Also, for us, the only temporary exhibits open were not of much interest because they were video art. 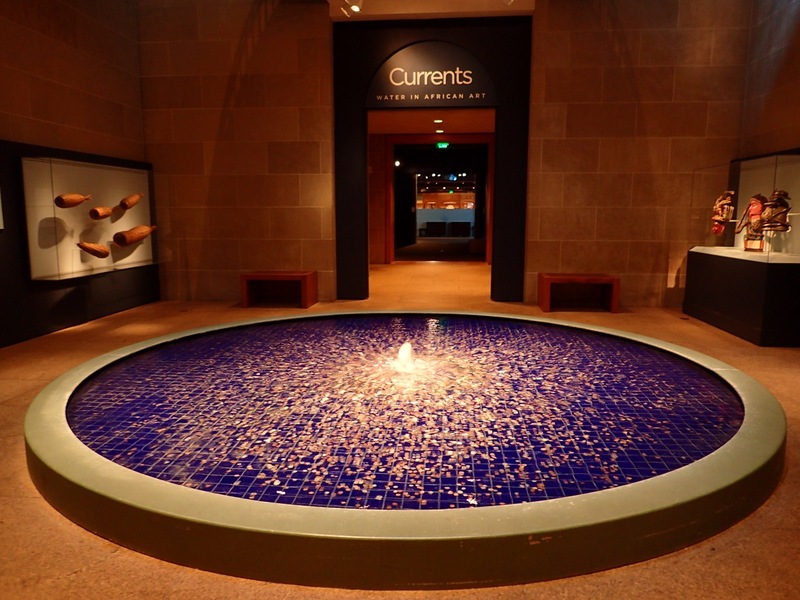 We did enjoy the permanent collection exhibits open ("African Mosaics" and "Currents: Water in African Art"), but found it ended up feeling more like when we go to a museum just to see a new temporary exhibit since there wasn't much to see here. 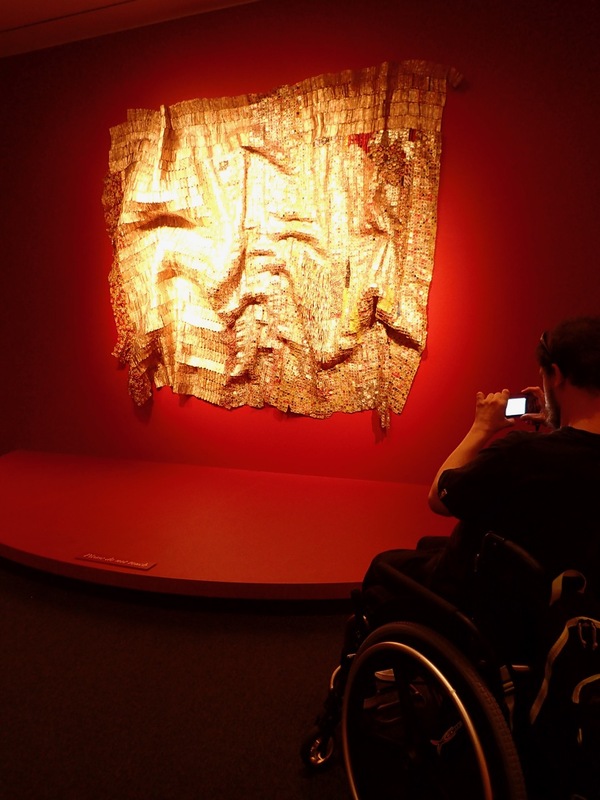 Definitely, a museum that should probably be visited when you can connect over to the Sackler or at least the second sub-floor temporary exhibit space has something in it.